It has been a while. A lot has happened and my sewing mojo has been lost, definitely even though I have been dreaming of sewing for some months now. Not enough hours in the day I guess. So forgive me if I post something relatively basic and banal today, it is a start. Oscar the Owl. My eldest, Saajidah, 5 years old, and I made it together. She did most of it, and I helped her. It took about an hour, which is pretty good I think. Much of it was spent undoing her stitching when my back was turned with the other 3 kids hanging around, but still. She now wants to do more, and I guess that is the main aim. Saajidah has a Princess Ball coming up December 11th, and she is desperate for me to make her a "gown". ??? I am feeling excited, which is a good thing, right? Any suggestions on patterns? 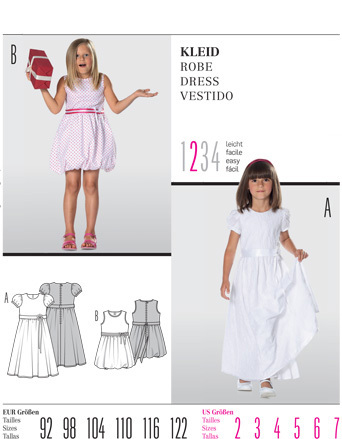 I have some Burda patterns, as well as a couple of patterns I bought for my girls to make for their Eid dresses, before things went pear shaped. I have Burda 9550, and I like the View A. And a rating of 2 is not too bad right? So I do have a choice...any advice? I'd like them to be able to wear these again and again, so practical fabric choices would be the way to go, but would that take away from the "ball" element? I like the High Tea dress. The bodice looks fast and easy and the skirt looks like it is 4 strips of fabric sewn together and gathered on the bodice. 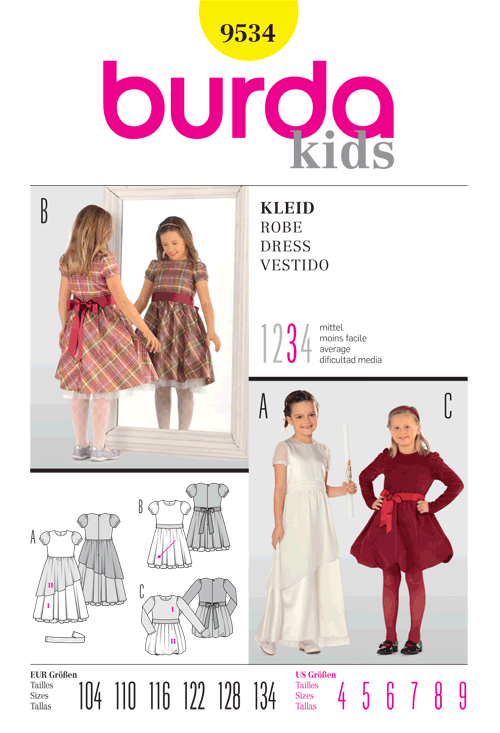 mixes quilting fabric together for their dresses. Maybe it will give you some design ideas if you go with this dress. Great to see you are sewing again.